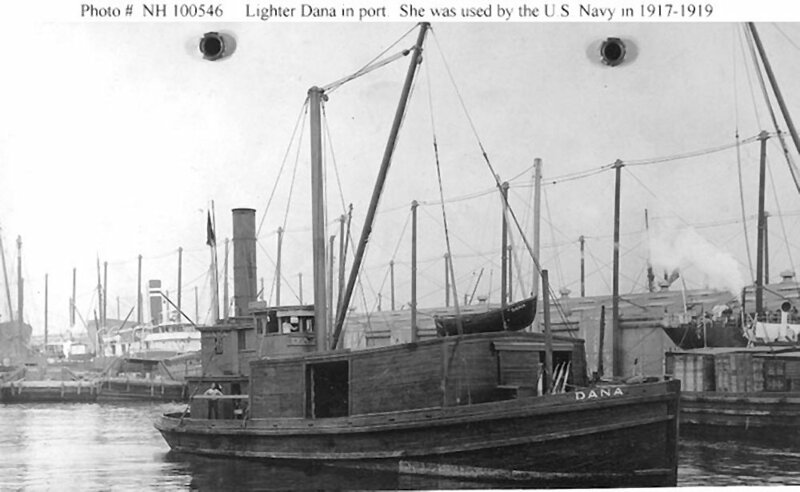 Freight Lighter: Laid down as Catherine James prior to World War I; Renamed Dana; Acquired by the Navy 23 November 1917 and placed in service as Dana the same day; Returned to her owner 21 May 1919. Fate unknown. 97k Probably in the New York Harbor area, prior to World War I.